The JMS Delta-PUMP (Airlift Pump System) uses a simple, well established concept to remove grit or sludge from the basin floor. Air, provided by a blower, is introduced well below the water level. The buoyant air, under head pressure from above, acts as the motive force lifting the air/water and entrained solids up and out of the discharge pipe. The Delta-PUMP system includes an eductor pipe with air diffuser ring, air feed piping, and adjustable intake. JMS can also include a blower pack and sludge measuring box options. JMS also supplies the Delta-PUMP packaged as an Aerated Grit System. 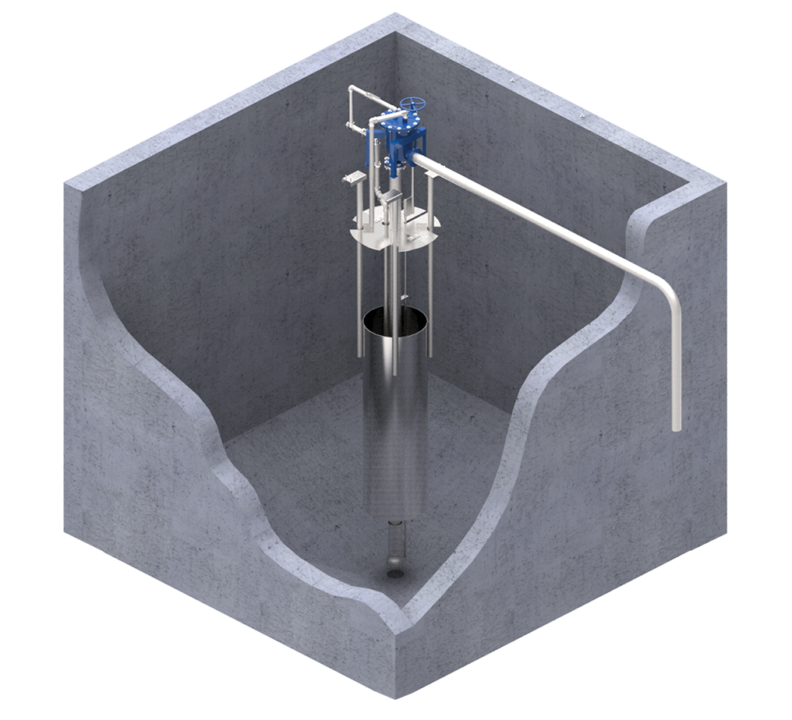 This system includes an airlift pump for lifting a grit mixture from the basin floor up to a JMS Delta-CLASSIFIER (Grit Classifier) for dewatering prior to disposal to a dumpster. This equipment package, complete with a blower and control panel, can play a key role in protecting downstream processes at the wastewater treatment plant.